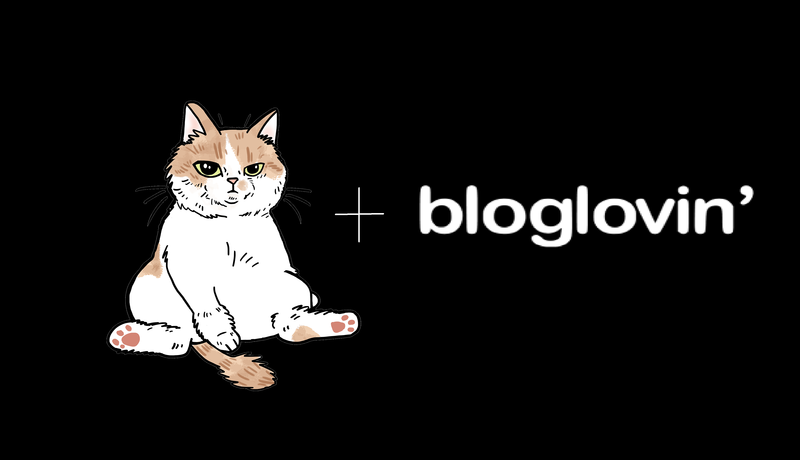 What better way to wear your heart on your sleeve than to literally wear your beloved cat—or dog if you’re into that—on your shirt? 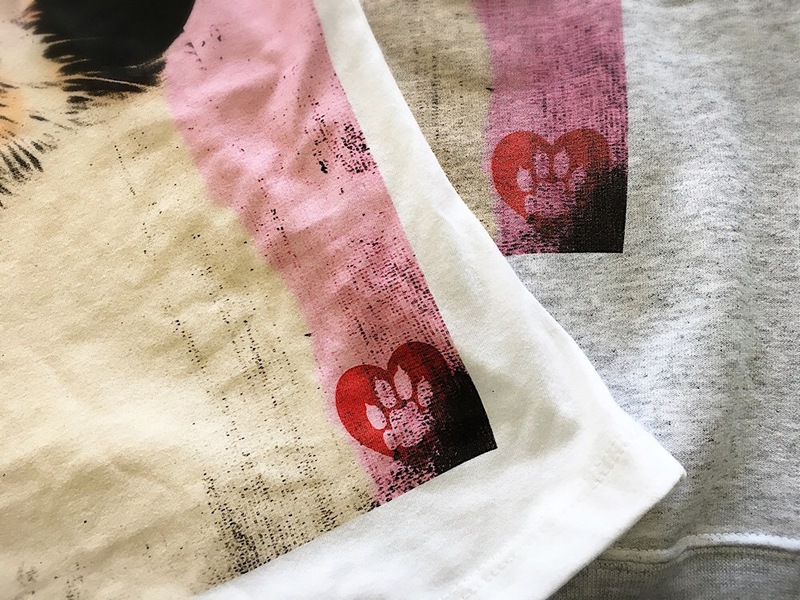 Animal Hearted—which donates 25% of proceeds to animal rescues and sanctuaries—does custom pet shirts (and its own designs created in-house). 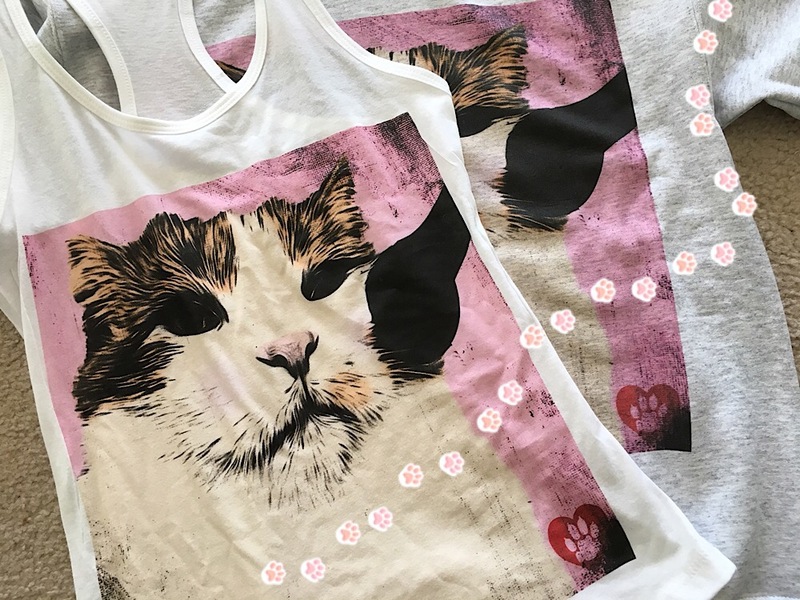 Given my our obsession with a certain feline, we pounced on the chance to try the custom shirts (courtesy of Animal Hearted). Buy the custom shirt on the Animal Hearted site. You’ll be asked to pick the shirt style, art style (pop art or paint), and shirt color and size. Wait for an email from Animal Hearted. 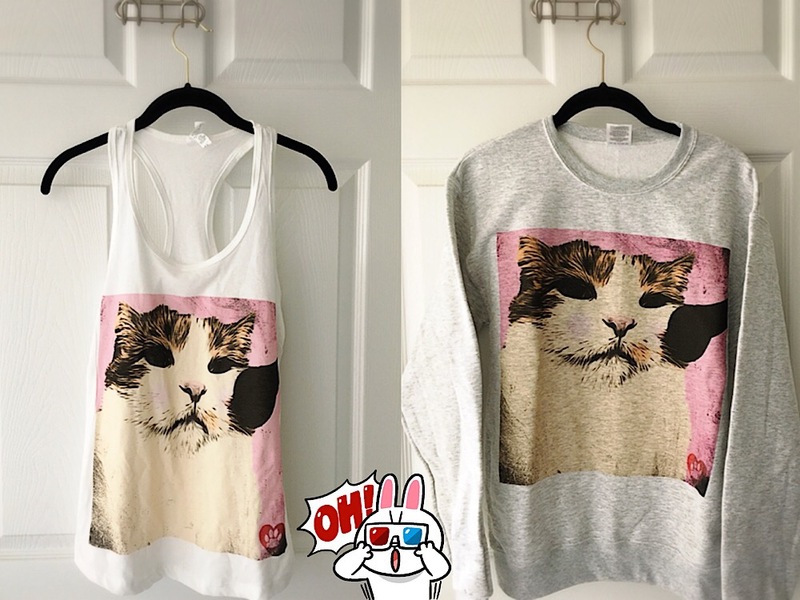 It will ask you to reply with the photo or URL of what you want on the shirt. Yes, even an Instagram link. 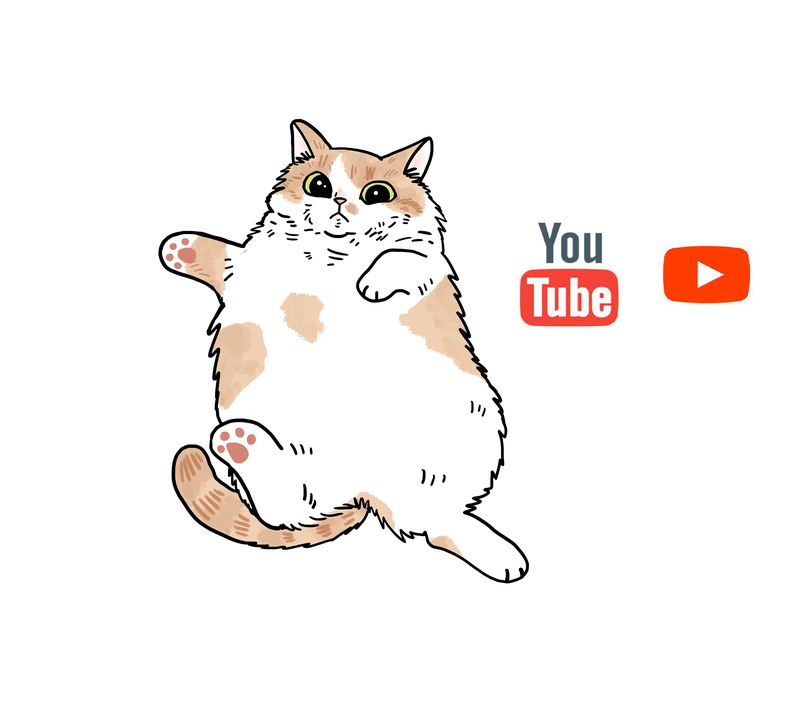 We emailed one of our favorite photos of Roxy—prrrrimping (although she’s a natural beauty)—and received a mockup two days later. 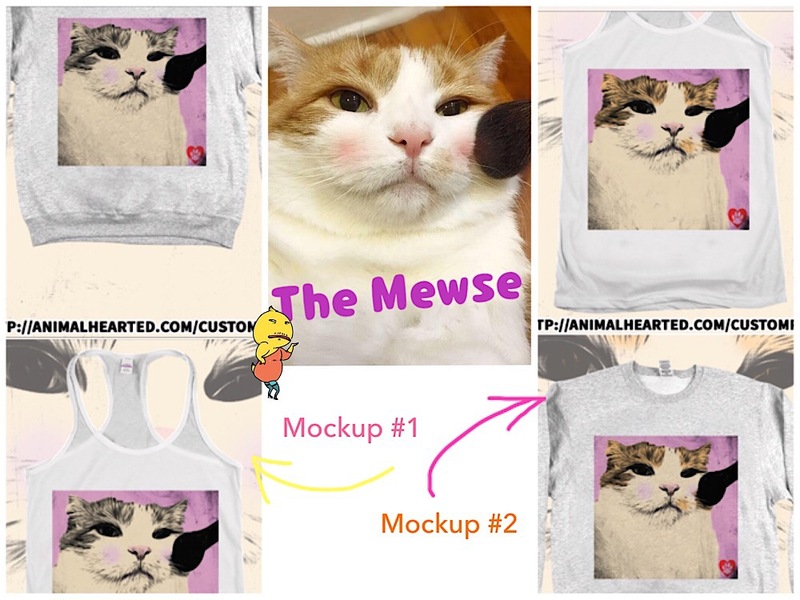 We gave feedback (“please to show her orange patches and signature beauty mark”) and, six days later, received the revised mockup. Satisfied with this version, we gave our approval and waited with bated breath . . .
We were not disappointed! *SWOON* I squeed my pants when I unfolded the shirts to reveal their full glory. 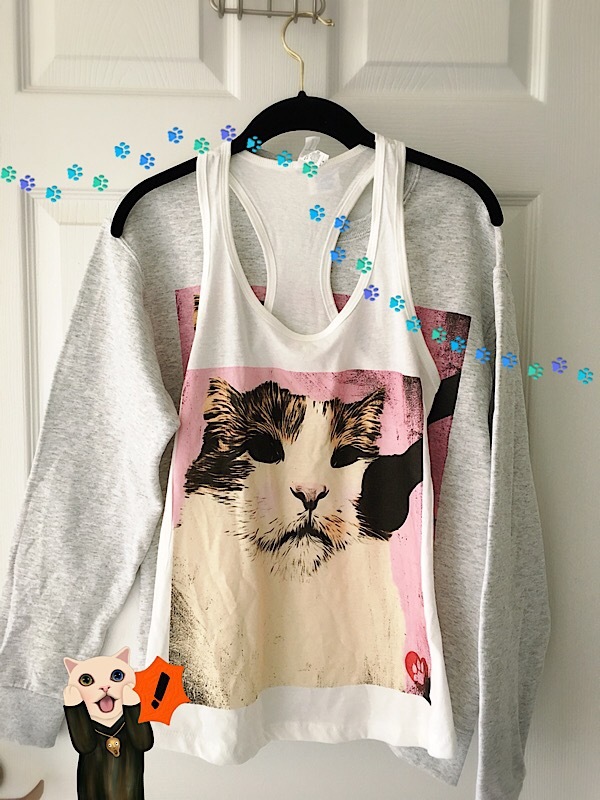 What a PAWesome purrresent for any animal lover! 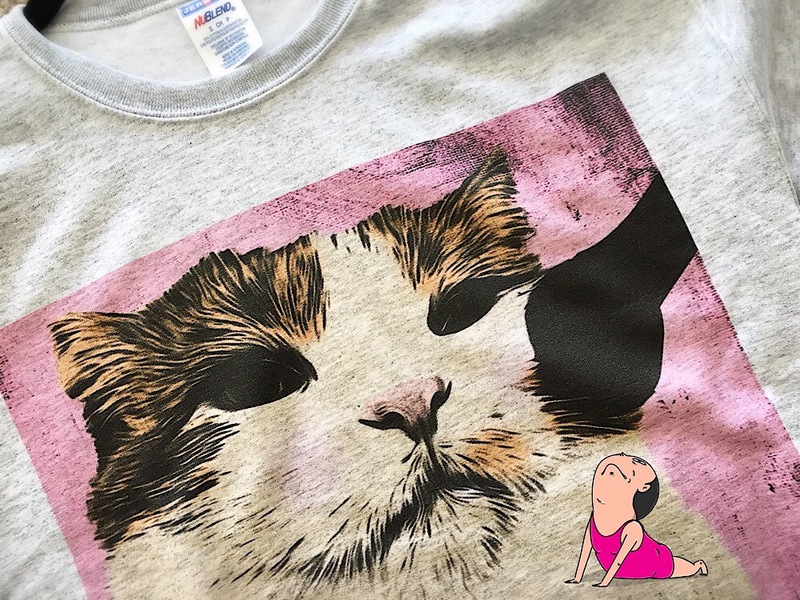 Surprise her/him with the custom shirt or send a gift card and let her/him design the Princess Puffington of Pufflonia shirt of dreams. Pros: Easy ordering & feedback process. Approval over final image. Size chart seems accurate. 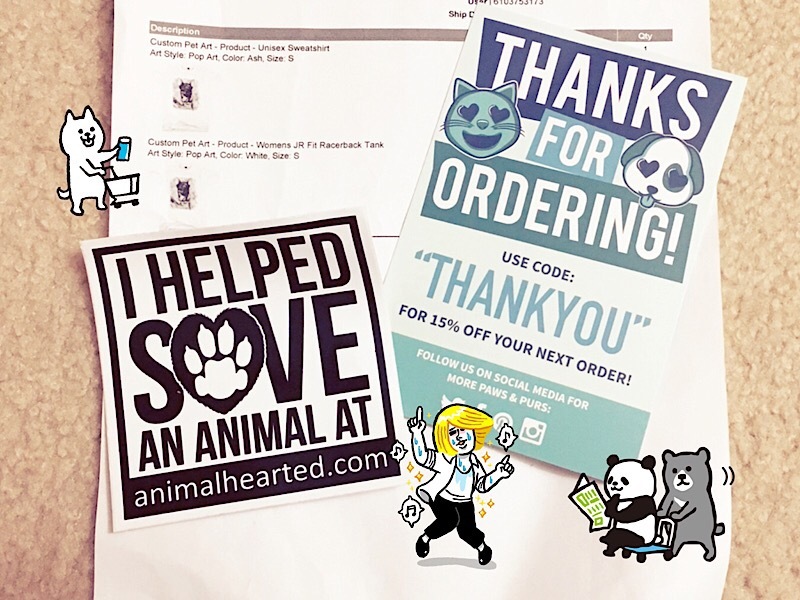 Animal Hearted gives 25% of proceeds to animal rescues and sanctuaries ❤ and covers all types of pets. Not just catte and doge, but also goat, fish, horse, alpaca, reptiles, and MOAR! Cons: Wish there were more sizing and color options. Some sizing insight: The women’s size S tank is long for my petite torso (oh hai, sideboob) but fits otherwise. The unisex sweatshirt size S is like a M or L in women’s sizes (you can see how much wider than the tank it is in the photo above). oh so cool! 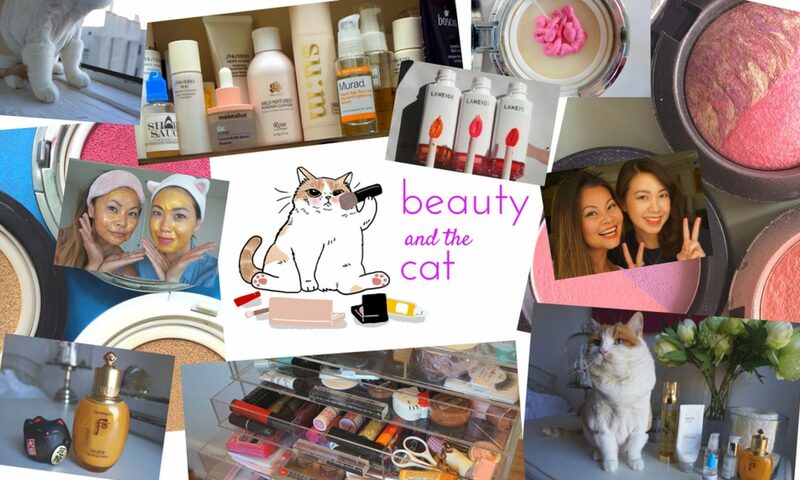 I will have to do this with a couple of my cat photos! !